Palani Palaniappan, Ph.D., has more than 25 years of pharmaceutical experience and continues to contribute to commercial registration and clinical development of numerous candidates in small molecule, biologics, ADCs and cell therapy. He serves as the head of Technical Operations at Sarepta Therapeutics, and focuses on small molecule and antisense based RNA medicines. He leads Sarepta’s gene therapy CMC and Manufacturing team and is responsible for all stages of development from research through commercial. 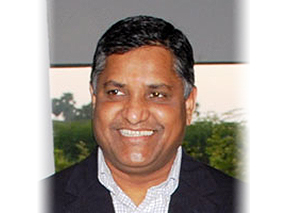 Prior to Sarepta, Palaniappan held increasing leadership positions and recently lead biologics and new modality development at Takeda Pharmaceuticals with responsibility for global development of drug candidates in variety of modalities including cell and gene therapy, microbiomes and antibody drug conjugates. Before Takeda, he spent a number of years each at Millennium Pharmaceuticals, Biogen, Gilead Sciences and Par Pharmaceuticals. He completed executive leadership education at Oxford University and Insead, post-doctoral work at the University of California Riverside and Virginia Commonwealth University Richmond. He received his Ph.D. from the Indian Institute of Technology Kanpur.